For years I have struggled with my grammar. Although I am bilingual, I feel more comfortable writing in English. I stay clear from writing in Spanish on topics related to business. Why? I believe there is less risk for me in formal business communications than when I communicate in English. I have been writing for quite some time. Initially, I use to write to share my experiences over on my website which was my journal. I probably did not even understand the term blogging until a decade ago. One of the biggest complaints I get from people when I blog is the grammatical errors that detract from the message I'm conveying. It happens more on my personal blog than on my business blog. The truth is, I have been making mistakes. I also want to ensure I continue publishing, and until a few weeks ago I was ok with having those errors posted. Eventually, close friends, peers, and colleagues would come back and point out the issue. I was crowdsourcing my 3rd revision of proofreading. Recently, I wrote a blog post on the U.S. Election. In that blog post, I explained how listening to experts helped me predicted the winner. My old friend and boss from KPMG read what the post and let me know he enjoyed the write-up but it had many grammar mistakes. At that point, I realized it was time for me to look into a reliable way to proof-read and fix those errors. I want to minimize the errors published, so I went ahead and researched grammar tools on Google. One of the first search options was Grammarly. 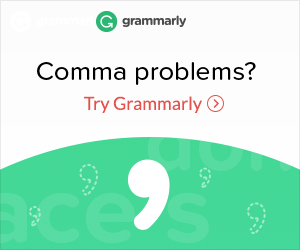 A few friends recommended Grammarly. Those same friends happen to be professional writers and New York Times Bestsellers. 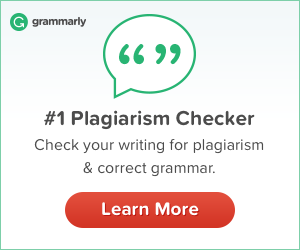 I tried out Grammarly's free version, and I used it so much, I was convinced this was the right tool for me. I decided to purchase the PREMIUM version and for the next few days decided to use it on all my blog posts. I think this is the first time I enjoyed buying the software. 1. I reduced the time it takes for me to publish a blog post. 2. I have improved my communications on social networks using their browser plugin. 3. I have also reduced the time it takes to edit and proofread the documents I create. 4. I have significantly reduced the number of errors we publish on blogs and other channels. 5. I have been getting more interactions on some of my posts. 6. I have been creating more content, therefore, increasing my reach towards prospects and clients. 7. There is peace of mind that my writing looks more professional than it did before. Grammarly has proven that in a matter of weeks, I am correcting the mistakes I usually make. It also serves as a quick review tool that makes sure I am conveying my main points when I'm writing. One main issue I have identified with many small business owners is the lack of time invested in improving communications with their team and vendors. Sometimes I get emails that are hard to decipher. Sending out rushed messages is a reminder that I might have sent something out that made no sense too. 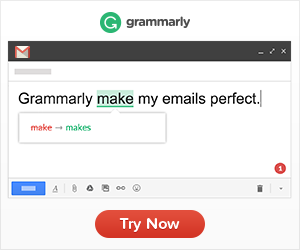 With Grammarly, I can do a quick check in seconds and decide if I need to polish my communication before I hit send. Improving communications with your partners, clients, and management always brings greater results. Learn from your mistakes so that you can avoid them next time.